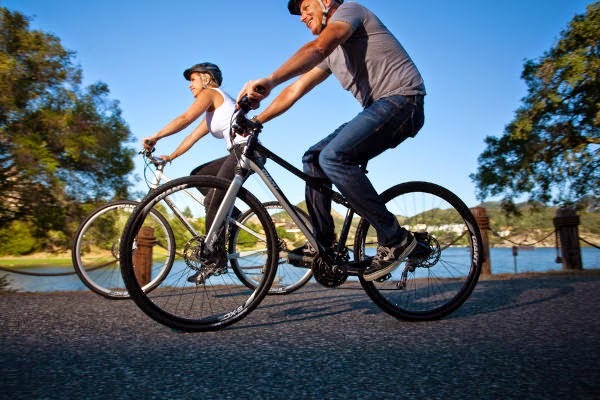 Century Cycles Blog: Cycling Makes Sense Fitness Rides in Medina County - starting this Thursday! Cycling Makes Sense Fitness Rides in Medina County - starting this Thursday! In partnership with Medina County Park District, Century Cycles presents Cycling Makes Sense Fitness Rides! These FREE beginner-friendly rides are a great way to get out on your bicycle for a non-aggressive ride and experience the park's wonderful multipurpose trails. Lynne from the Century Cycles store in Medina will start each 6-10 mile ride with some basic tips for how to keep you and your bike fit. All rides begin at 6:30pm. Adults only; helmets are required. Bike touring is fun for the whole family!